Drepanosaurs are having quite a moment. And now, we've got a new member of the club: Avicranium. 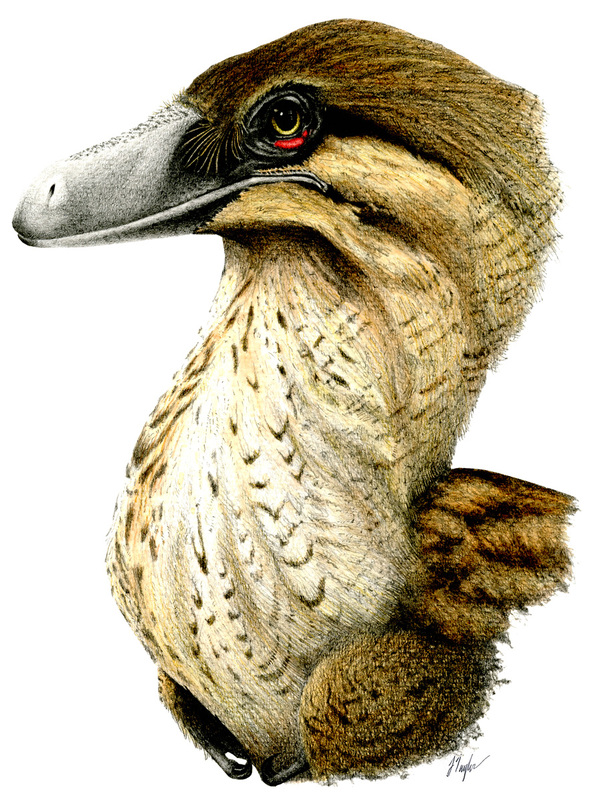 Described by Adam Pritchard and Sterling Nesbitt, its noggin does look awfully bird-like (as you may have guessed from that generic name). It even received a gorgeous reconstruction from Matt Celeskey! If you've ever watched the dipping and rising trajectory of a woodpecker flying between trees, you've witnessed "bounding flight." New research reveals that a small enantornithine from the Jehol Biota, Junornis, did the same. Read more from Dave Hone in the Guardian and Fernanda Castano at Letters from Gondwana. 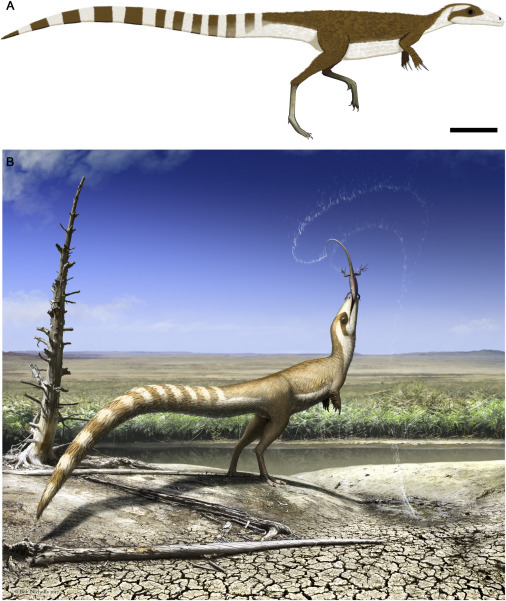 In further Jehol Biota news, Sinosauropteryx is the subject of newly published research seeking to resolve its coloration in life. Fian Smithwick et al describe the little bugger as the resident of a fairly open habitat, sporting countershaded coloration a dapper bandit mask (see Bob Nicholl's restoration). It also confirms that the banded tail present in this little comsognathid's fossil remains is the result of the preservation of melanin, and not any other artifact of preservation. This research also broadens our knowledge of the Jehol environment, previously known to have been chiefly enclosed forest. "Only three good specimens are known for Ankylosaurus," Victoria Arbour writes. So she and Jordan Mallon went about a comprehensive review of what we've learned since Carpenter's comprehensive 2004 paper. What's especially cool is that this reappraisal was spurred by her consultations with the Saurian team. 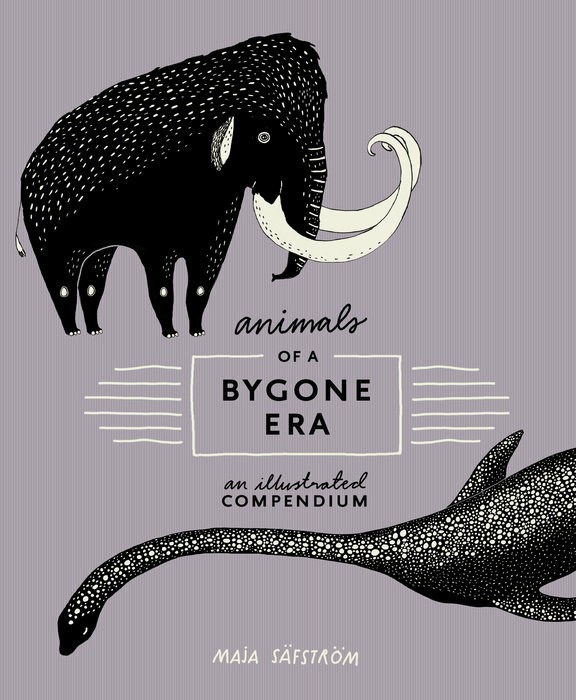 Read about Arbour and Mallon's conclusions at Pseudoplocephalus and from Brian Switek at Laelaps. They grow up so fast! The first known newborn ichthyosaur fossil has been described. New research on a site in the Kaiparowits plateau offers a ton of insight into hadrosaur nesting behavior. Read more from Pete Bucholz at Earth Archives and Duane Nash at Antediluvian Salad. How old are cockroaches? Though there's a common misconception that they date back to the Carboniferous, a new review of the oldest true cockroach fossils dates them to the Mesozoic. Remains of a giant azhdarchid from Mongolia's Nemegt Formation have been published. Head to Pteros for more. Another TetZooCon has come and gone. 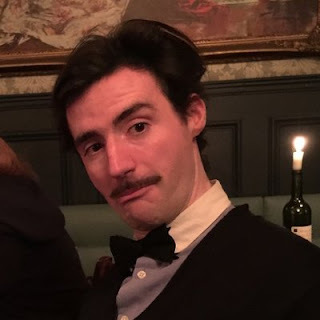 Darren Naish writes about the event at the TetZoo blog, and Albertonykus and our own Marc Vincent also offer their own recaps. 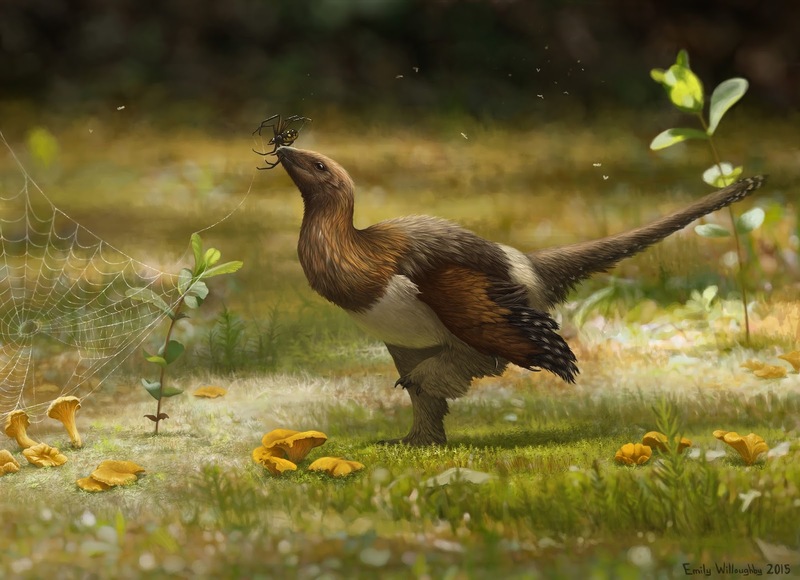 At the SVP blog, check out Christian Kammerer's interview with Zoë Lescaze, author of the new Taschen book on paleoart. 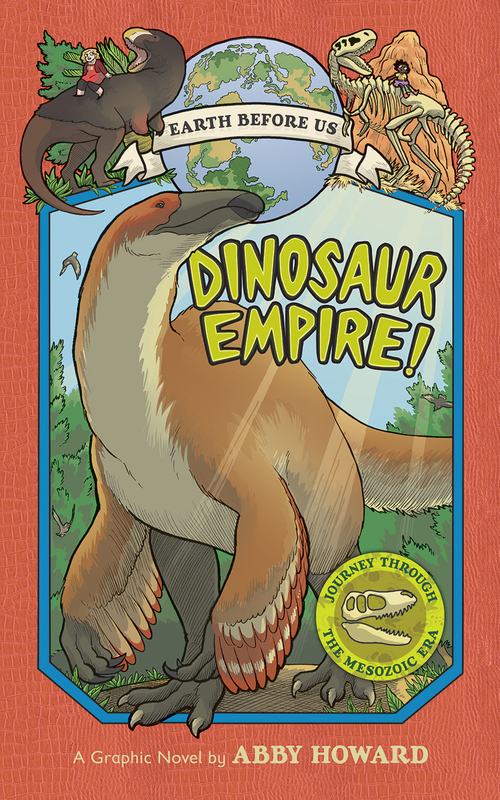 Mark Witton has provided his own insightful review of Lescaze's book at Palaeo-Electro. 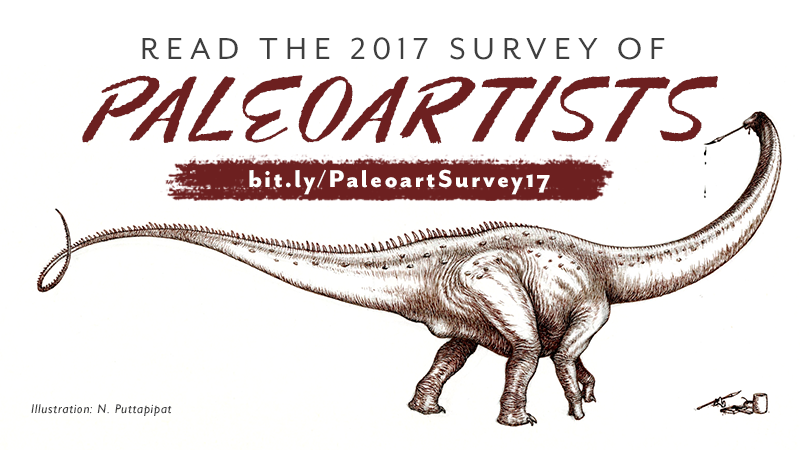 Time to vote for the top ten fossil taxa of 2017! Head to PLOS Paleo Community to learn more. At Tet Zoo, Darren Naish writes about the history of Protoichthyosaurus. 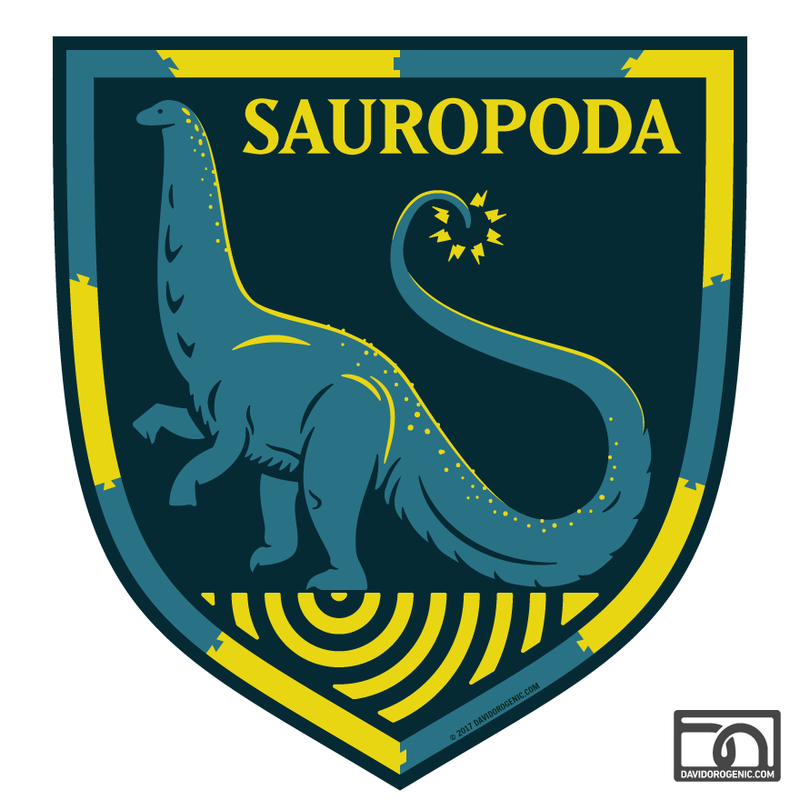 Head to the Saurian devlog to see how they've updated their Ankylosaurus model with Victoria Arbour's help. At Hydrarchos, Ilja Nieuwland writes about Friedrich König's plaster dinosaurs. The Bearded Lady Project is hitting the road. Follow the project's website to see if a screening and portrait exhibition is coming your way. 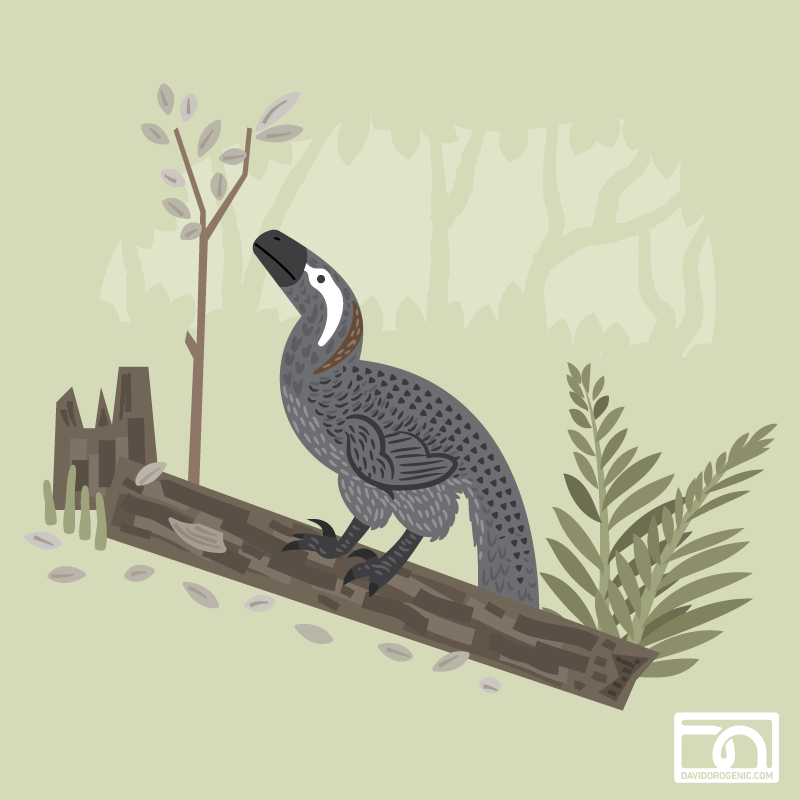 The powerhouse paleoart team of Scott Elyard and Raven Amos ran the IAmSciArt Twitter account for a week during October. 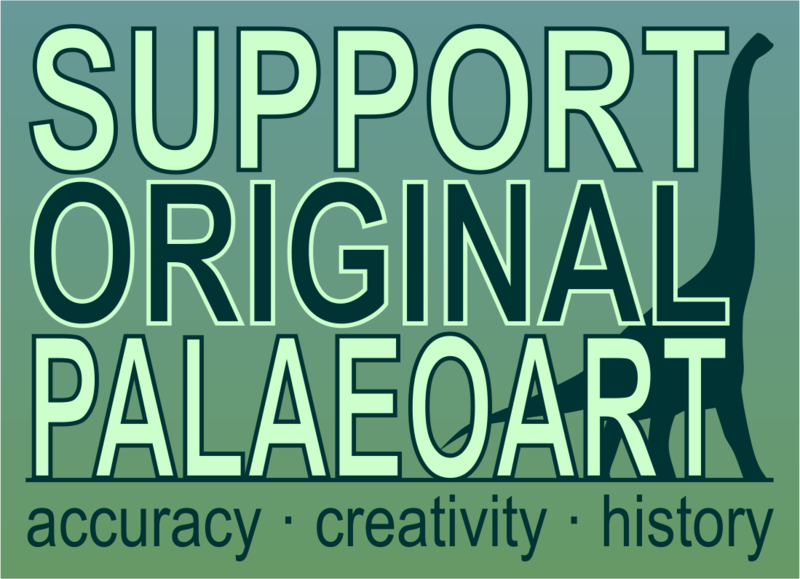 Head to their first tweet and scroll through for a treasure trove of paleoart insight. Hello all you #sciart fans in Twitterland! This is @alaskanime sending out the first of many tweets! Welcome to this week's curated posts! And that's not all in the realm of rotating curator accounts on Twitter: Liz Martin-Silverstone guested at BioTweeps, too. 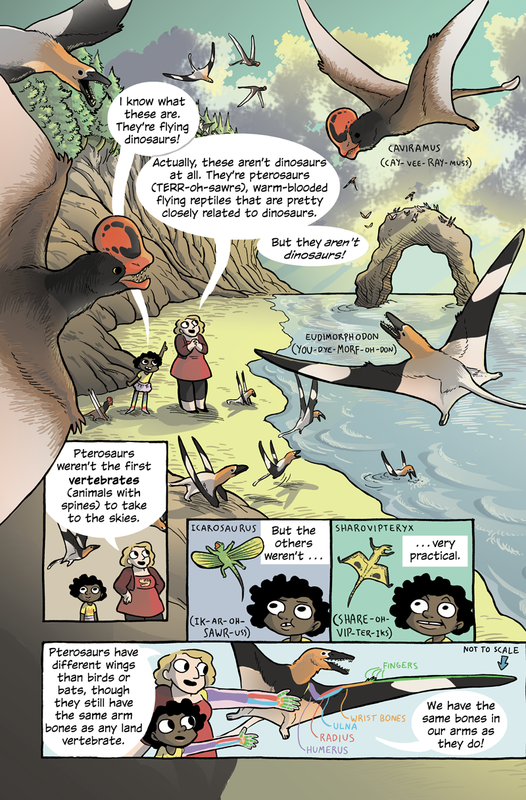 As you might expect, she covered pterosaurs, but also dug into many other facets of a career in palaeontology. Start here. 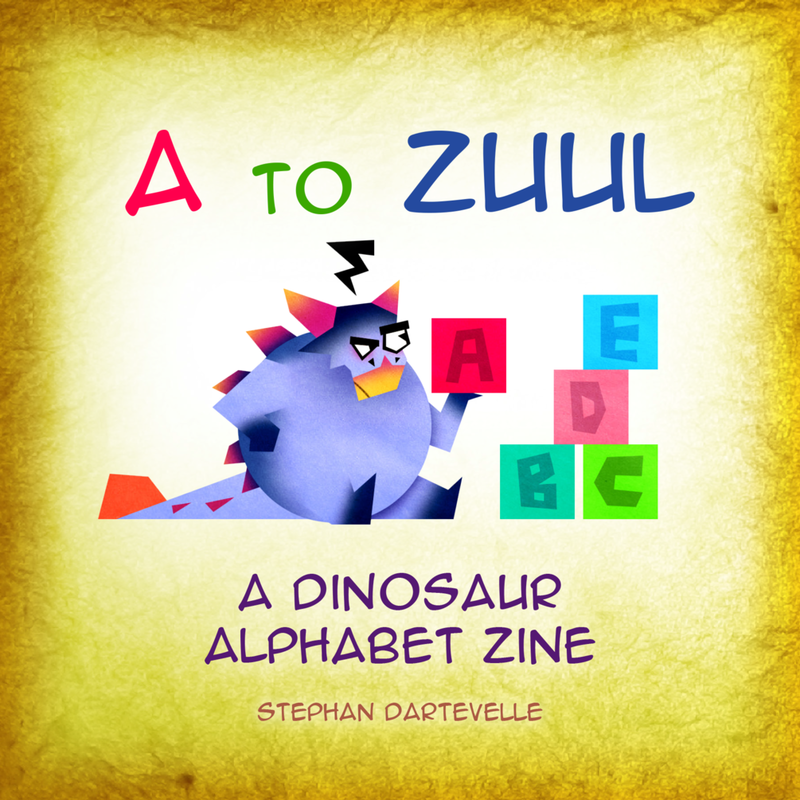 Dinosaur Art II is now available! 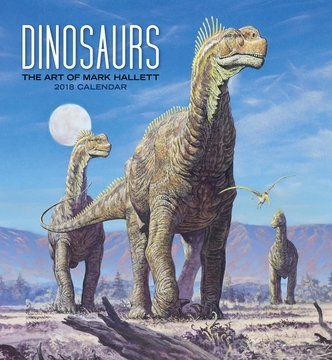 The first Dinosaur Art volume was a big hit among readers, offering a look at some of the most influential paleoartists of the last forty years. The sequel focuses on contemporary artists, including Andrey Atuchin, Emily Willoughby, Sergey Krasovskiy, Velizar Simeonovski, Mark Witton, Julio Lacerda Jason Brougham, Vitali Klatt, Peter Schouten, and Tom Bjorklund. 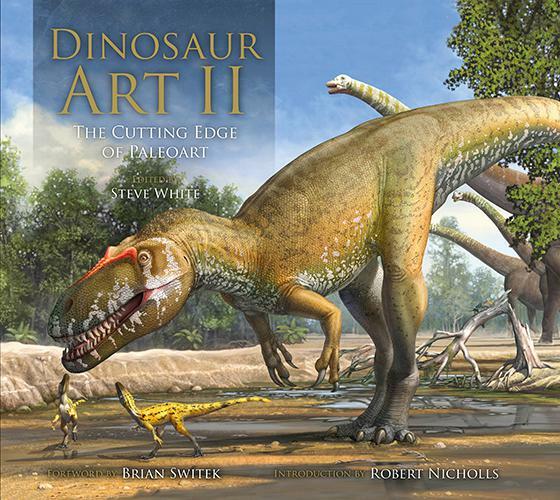 Also, Witton wrote an article about the book, as well as a defense of palaeoart as a scientific practice, at Boing Boing. 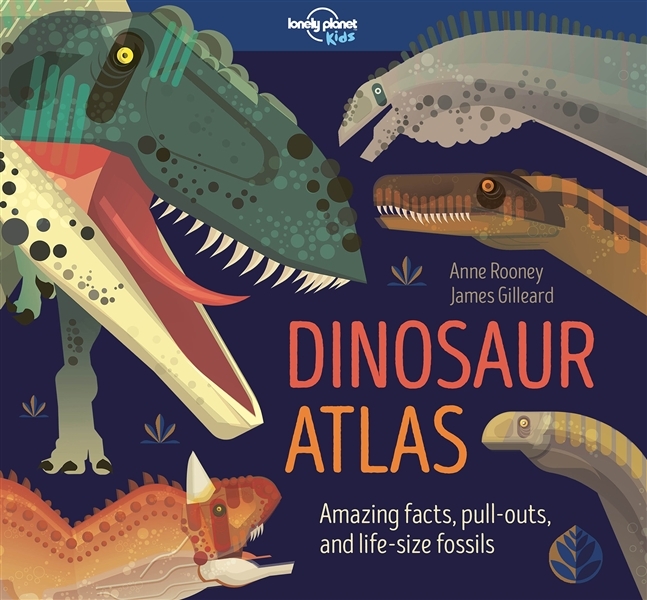 If you're a fan of more abstract and stylized paleoillustration, you'll want to check out Lonely Planet's Dinosaur Atlas, illustrated in vivid vector awesomeness by James Gilleard. Check out more of his beautiful work from the book at Behance. 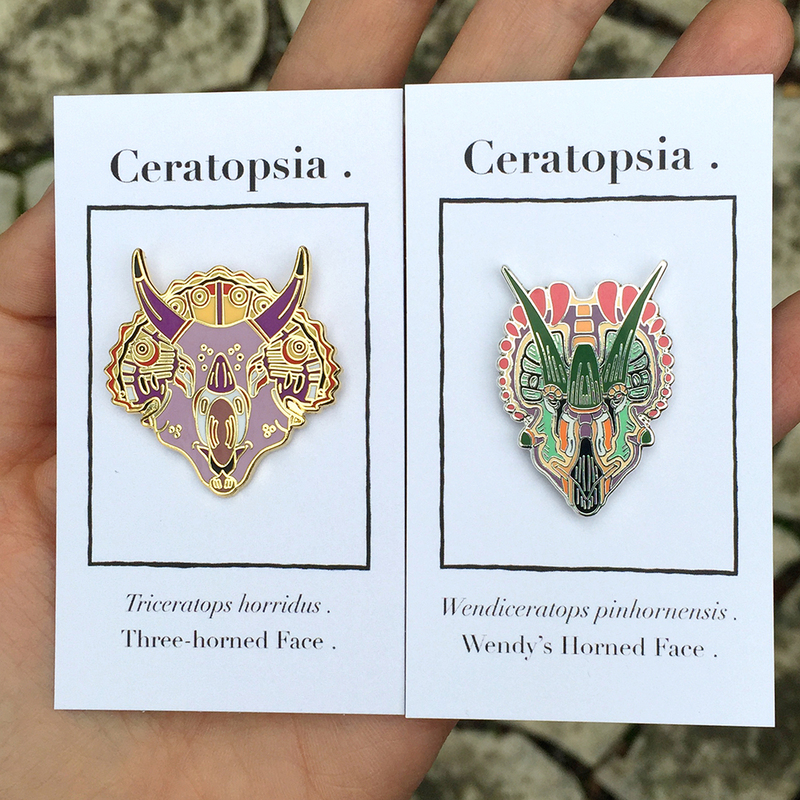 Toronto artist Greer Stothers has been creating colorful enamel pins of ceratopsids, with Triceratops and Wendiceratops available now. 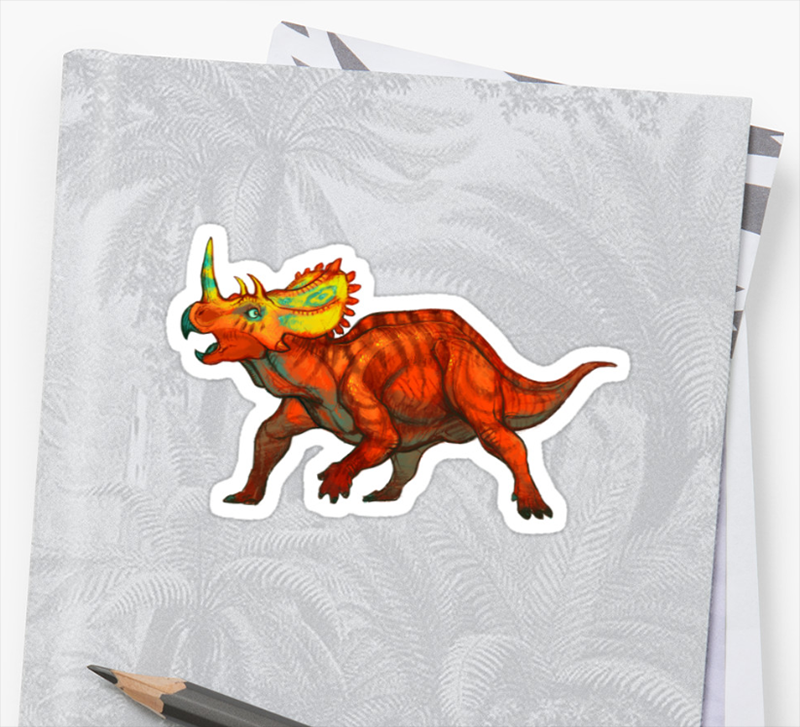 Protoceratops and Styracosaurus are coming soon. 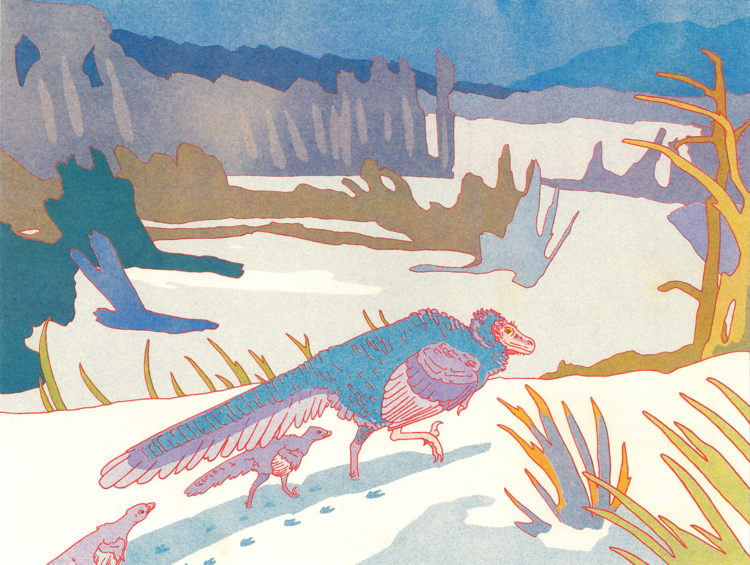 Be sure to check out her beautiful risograph prints as well (yeah, you can expect to see these in the upcoming holiday guide). Brian Engh was a guest on the Scicomm Monday show, talking paleoart, including the awesome new battlin' mastodons piece he created for the Western Science Center. Check it out on Periscope. 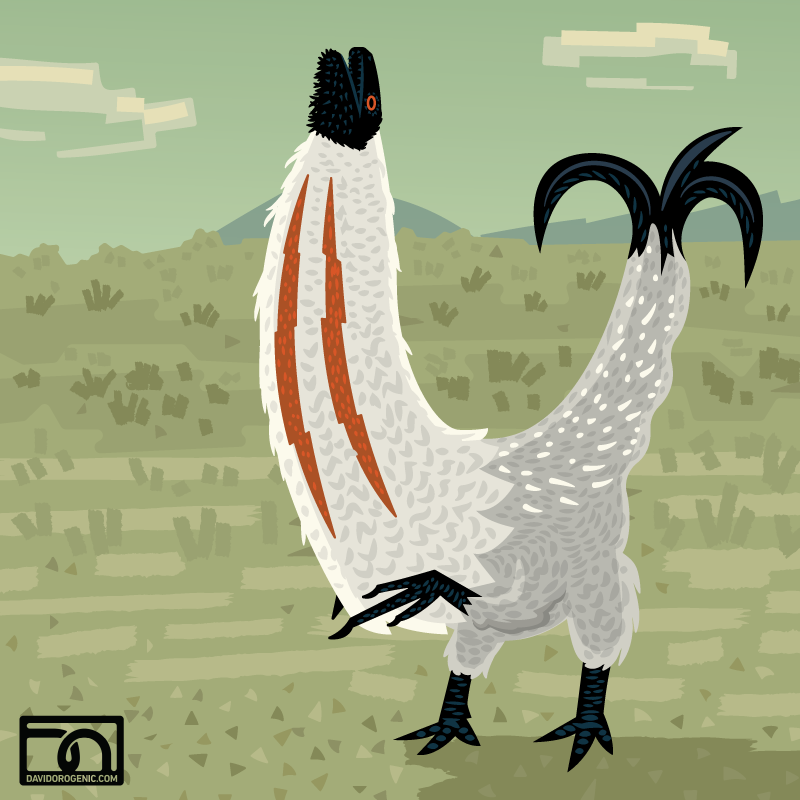 The Dinosaur George podcast hosted trusty ol' Dave Hone, who discussed dinosaur behavior. 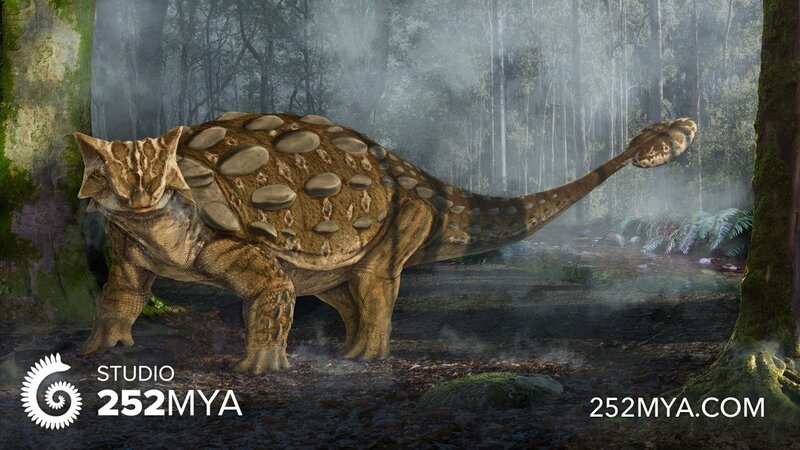 The In Defense of Plants podcast got into palaeobotany again, as host Matt Candeias spoke with Jeff Benca about lycopsids. 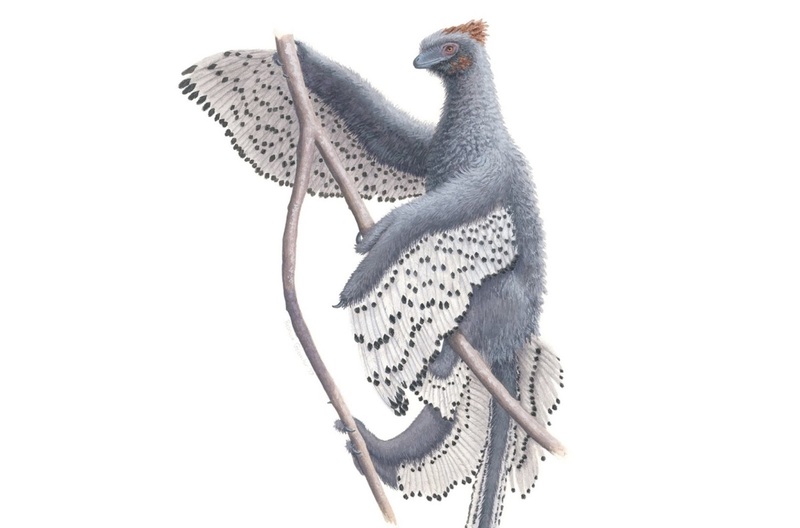 Another of my favorites is "In Our Time," and host Melvyn Bragg recently talked feathered dinosaurs with Michael Benton, Maria McNamara, and Steve Brusatte. The Royal Ontario Museum needs help preparing Zuul's tail club! Head to this site to contribute to the crowdfunding campaign. Dawndinos is a five year research project studying the ways locomotion played a role in the success of the earliest dinosaurs. Paleoart titan Bob Nicholls was commissioned to create an original illustration for the team, and delivered a doozy: Archosaurian Dawn, in which a Marasuchus flock scavenges fallen Aetosauroides carcasses as a Gracilisuchus passes by in the foreground. Archosaurian Dawn by Bob Nicholls, posted here with his permission. Read more about Bob's process in creating the piece at the Dawndinos website. On Saturday October 21, Natee and I once again attended TetZooCon, the convention spun off (lest we forget) from Darren Naish's long-running blog, Tetrapod Zoology (currentlyhostedatScientificAmerican), and the incredibly tightly focused and well-edited TetZoo Podcast. It's becoming the very best kind of annual tradition. Better even than Christmas; all the boozing is there*, but you get to hear awesome zoology-themed talks and schmooze it up with renowned scientists and artists, rather than having to pretend to like your extended family. 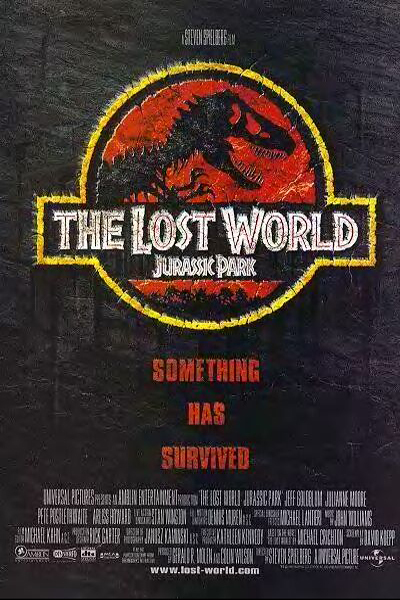 For its fourth iteration, the show moved venues and was even bigger and grander than ever; a bit like Jurassic World with more convincing dinosaurs and female characters. Here's how it all went down. Have you thought much about Corythosaurus recently? No? Well, no one seems to care so much about Corythosaurus these days, do they? It's all, "Shantungosaurus this" and "Olorotitan that". 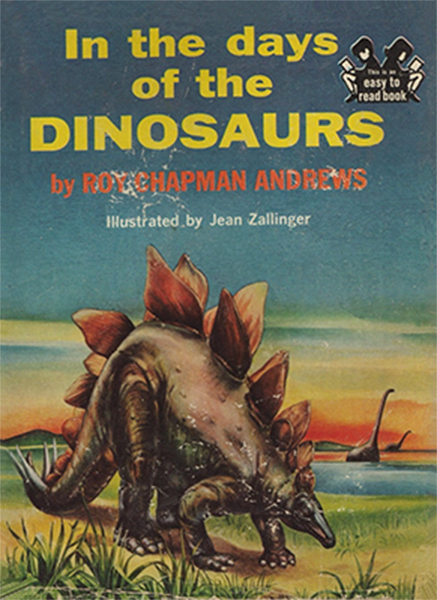 Back in the 1950s, though, Corythosaurus was the talk of the town, and so it's only natural that Jean Zallinger illustrated it for the remarkably good In the Days of the Dinosaurs (do read Part 1 if you haven't already). Of course, it's messing about on the river. Beasts of the Grand Staircase! This Wednesday, October 11, is National Fossil Day in the US, during which science organizations around the country hold paleontology outreach events. The National Park Service and partner organizations are holding a major Fossil Day event on the National Mall in Washington, DC. To see what events are happening near you, see the list from Sarah Gibson at PLOS Paleo Community (parts one and two). 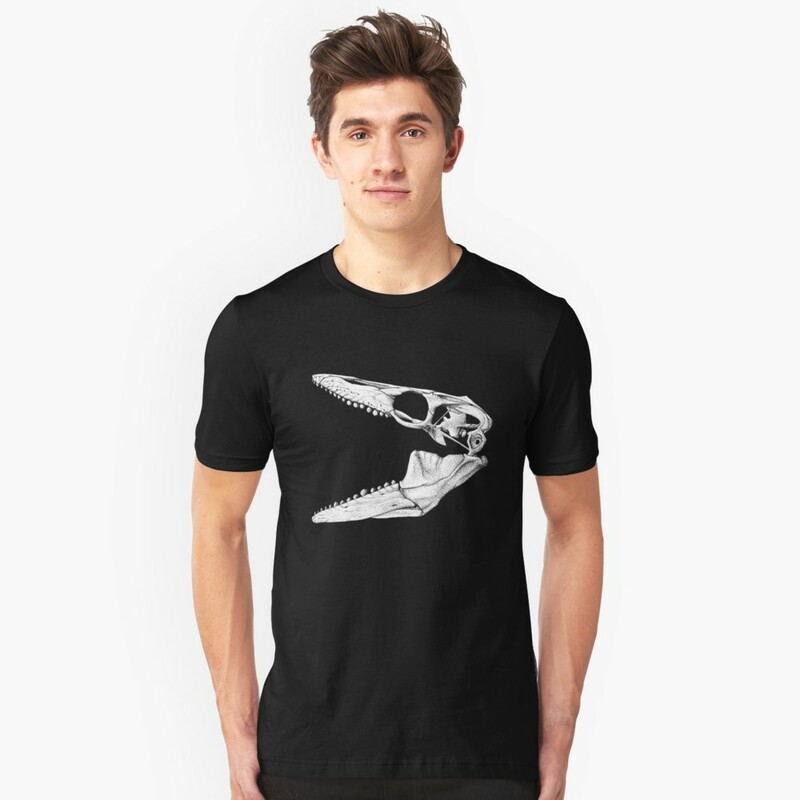 Just over a week ago, I was contacted by David Polly, president of the Society of Vertebrate Paleontology, to design some Fossil Day outreach materials. 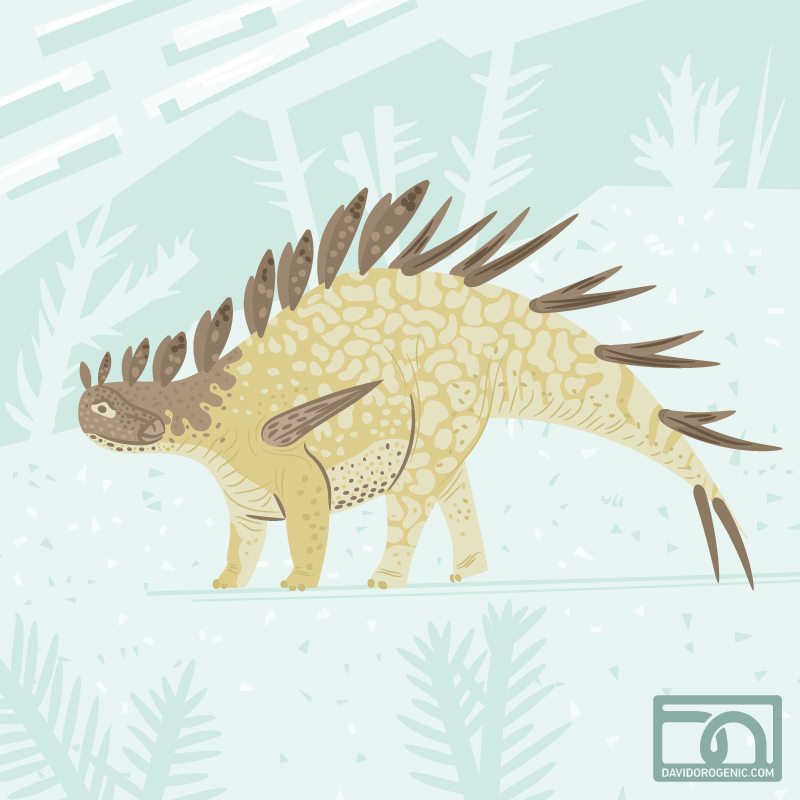 The SVP wanted to commission a set of trading cards highlighting six amazing dinosaur discoveries at Utah's Grand Staircase-Escalante National Monument. I was thrilled to get the gig and pitched the idea of doing something colorful, graphic, and fun. Dr. Polly had a list of taxa in mind, so I started sketching. A few days later, the art was given the thumbs up and the cards went into production! This was one of the quickest project turnarounds I've ever worked on, and I'm totally pleased with the end result. 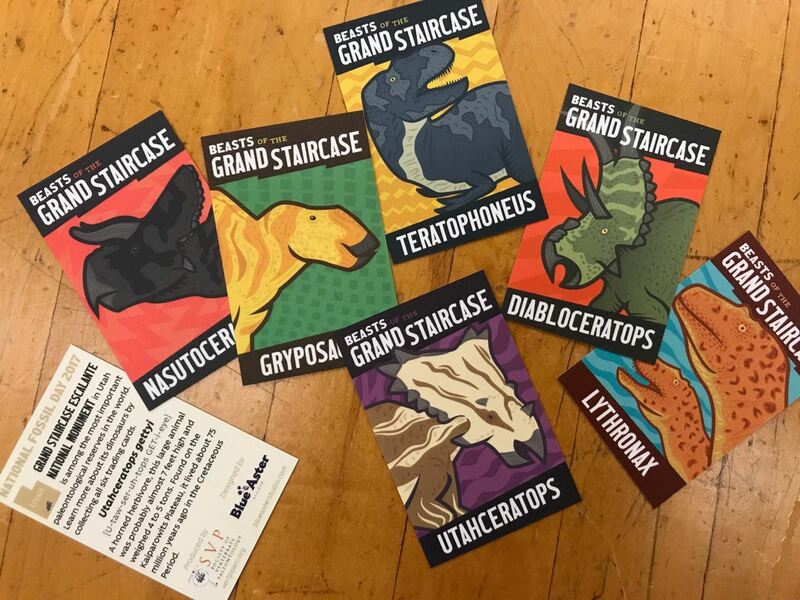 "Beasts of the Grand Staircase" trading cards, designed by David Orr of Blue Aster Studio for the Society of Vertebrate Paleontology. Photo by David Polly. This project was special for a few reasons. First of all, this was the first time I was commissioned by the SVP to create something, and that's something of a dream come true. Second, ceratopsids are a heck of a lot of fun to draw, and this set was half ceratopsid! Third, I was very happy to draw Utahceratops gettyi; many of you may already know that the species' namesake, Mike Getty, passed away tragically a few weeks ago. I never had the chance to meet him, but I've appreciated the fond tributes from folks in the paleontology community whose life he impacted. And finally, the protection of public lands is an issue close to my heart, and they are in peril. 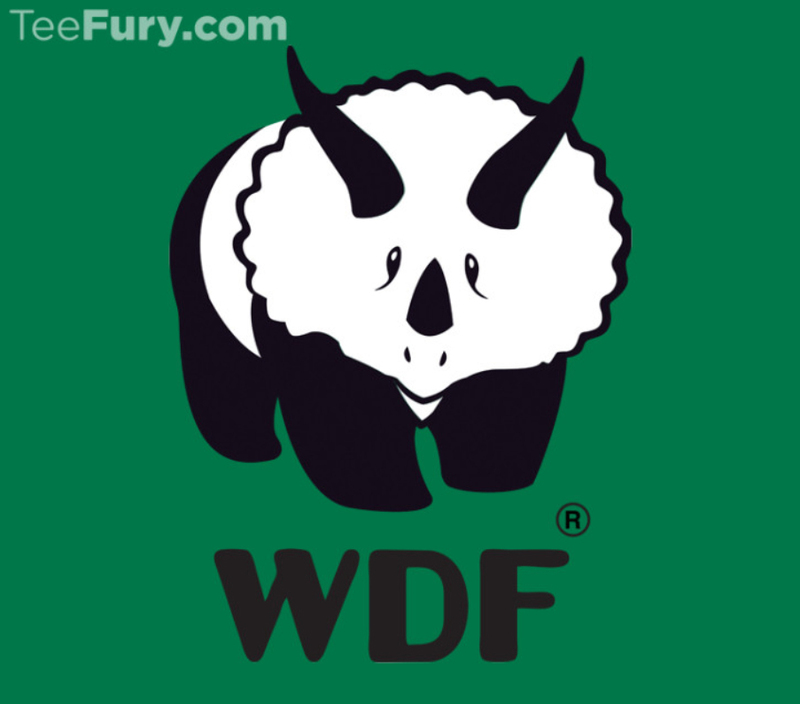 We need to raise up a grassroots effort to defend these precious places. Thank you to Dr. Polly for bringing me aboard this outreach effort. Learn more information about the DC event on the SVP news page. The SVP is also distributing a flyer I designed featuring the card art for all to share. Have a great National Fossil Day, everyone! Now here's a curious one - a book from 1959, written by the great Roy Chapman Andrews and illustrated by Jean Zallinger. Wait, you mean Rudolph, surely? 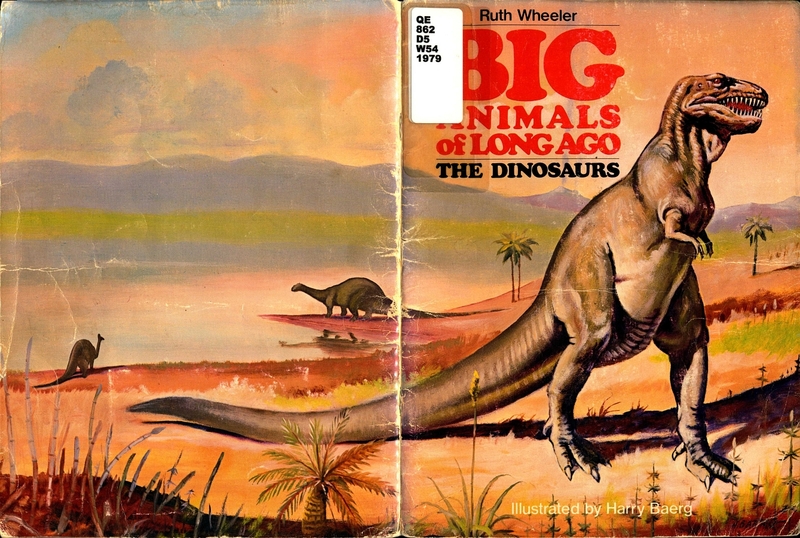 Well, no; Rudolph Zallinger may be the man behind The Age of Reptiles mural in the Peabody museum, but his wife Jean Day Zallinger is a prolific illustrator, and it shouldn't really be too surprising that she should lend her hand to a book such as this. It's strange not seeing Rudolph's name in this saurian context, but Jean is more than capable of holding her own...even if The Age of Reptiles does heavily influence some of the art here, as we shall see. This is another one sent to me by Charles Leon - thanks again Charles! The Society of Vertebrate Paleontology 2017 meeting was held in late August in Calgary. There have been a few posts from attendees, though not as many as I'd hoped. Check out recaps from Liz Martin-Silverstone and Albertonykus. 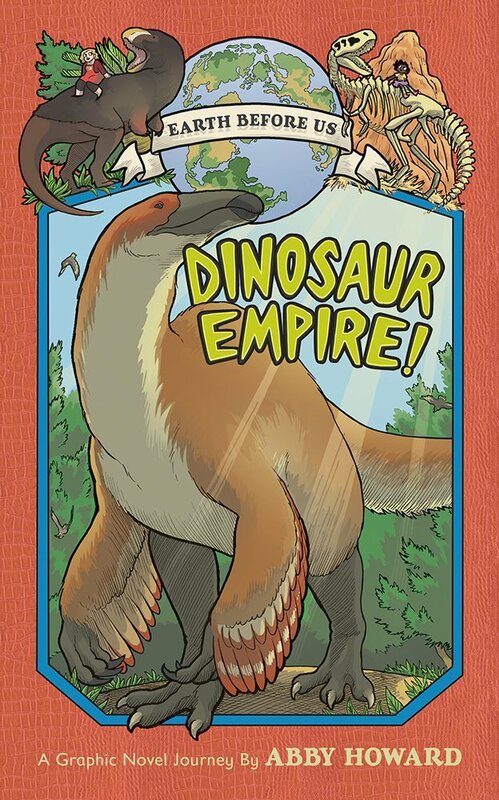 Alex Hastings presented a poster on dinosaurs in comics and writes about his extensive research. Over at the RMDRC Paleo Lab blog, Anthony Maltese writes about the creation of the Protosphyraena skeletal mount he unveiled at SVP. Californians can finally relax: they have an official state dinosaur. It's the hadrosaur Augustynolophus [insert hilarious vegetarian joke here]. Read more from Smithsonian and the LA Times. 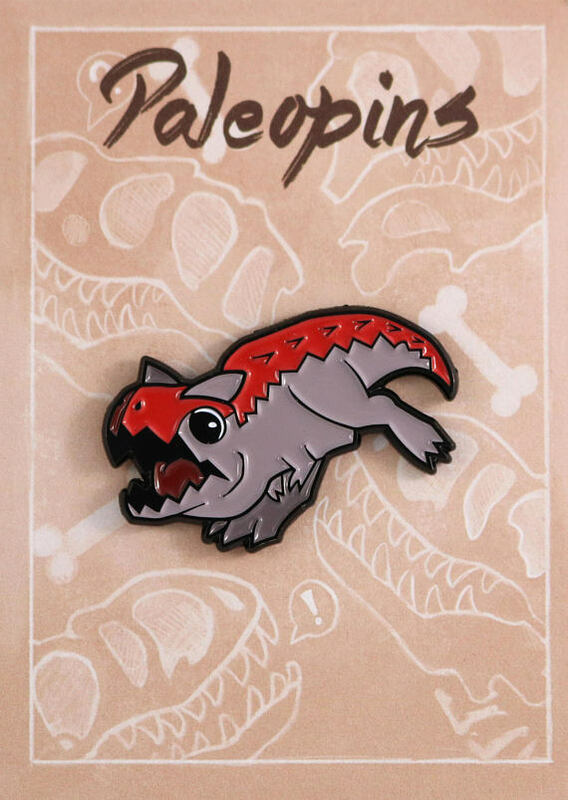 It's the case of the upside-down ankylosaurs! 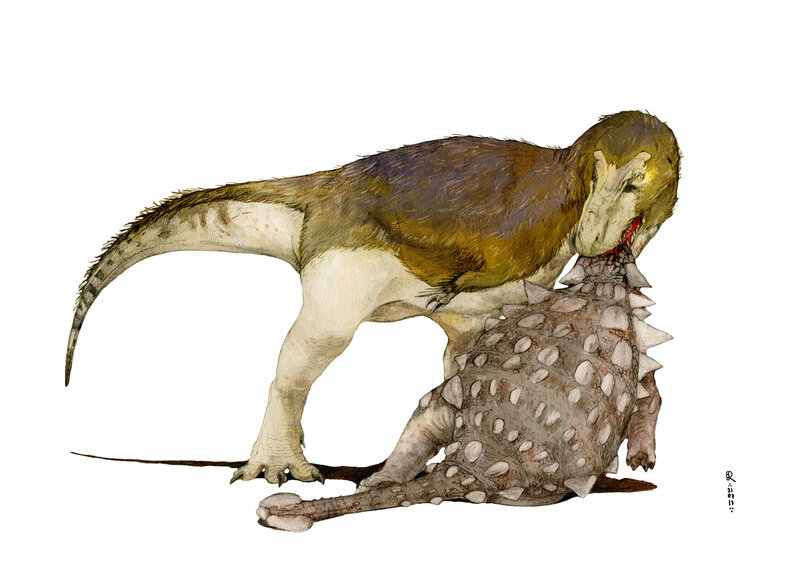 New research studies the phenomenon of armored dinosaurs being discovered on their backs. Read more at Live Science. Morturneria seymourensis, an aristonectine plesiosaur that swam the Antarctic seas of the Late Cretaceous, was first discovered more than 30 years ago, but new research has revealed it to be an oddball in the family: a filter feeder, with teeth that interlocked to trap and strain krill and other small food from the water. Read more from Sci-News and Earth Archives. And while we're talking marine reptiles, meet the mighty Thaumatodracon. Adam S. Smith writes about the newly named rhoemaleosaurid at Plesiosauria. If you were a bit thrown by the term "allokotosauria" when Shringasaurus was revealed last month, have no fear. Zach Miller has a new post at Waxing Palaeontological about this clade's history and current roster of beasts. 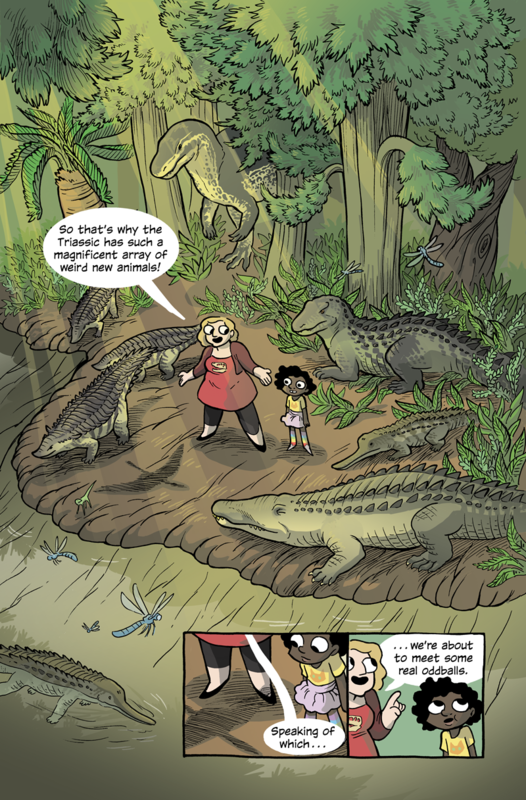 At Earth magazine, Thea Boodhoo profiles paleontologist Dr. Lisa D. White and her efforts to give youths in underrepresented groups access to the geosciences. How do paleontologists in the field decide how to conduct their search for fossils? How do they determine the significance of what they find? Adrian Currie writes about the secret epistemology of field work at Extinct. Victoria Arbour visits the Prehistoric Park at the Calgary Zoo. And if you didn't read her latest Vintage Dinosaur Art post here, get on it! Oh, and ONE MORE THING, vote for Pseudoplocephalus! 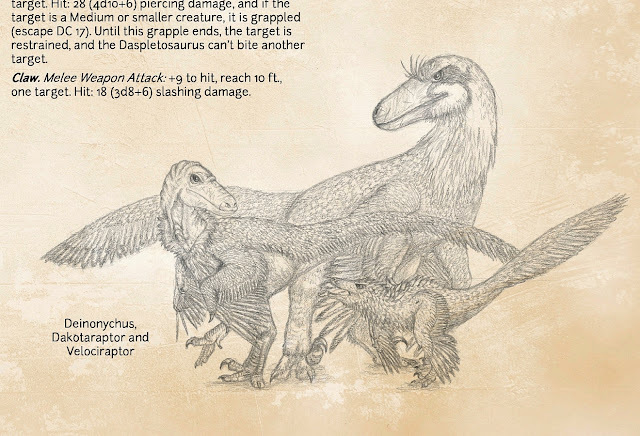 At Antediluvian Salad, Duane Nash muses about groundcover in the Mesozoic, especially as depicted in paleoart, and winds up thinking a lot about biocrusts. 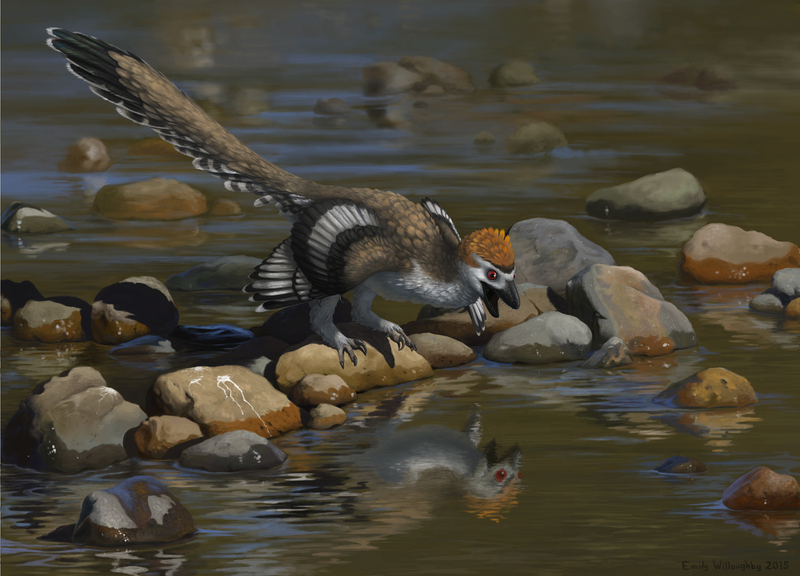 Definitely worth a read if you're into palaeoart that delves into the more subtle details of an environment. Public paleoart projects are always worth a look. The Everything Dinosaur blog features a new project to honor Gideon Mantell with a life-size sculpture of an iguanodontid in the town of his birth: Lewes, in East Sussex, England. At ART Evolved, Herman reviews Naish and Barrett's Dinosaurs: How They Lived and Evolved. 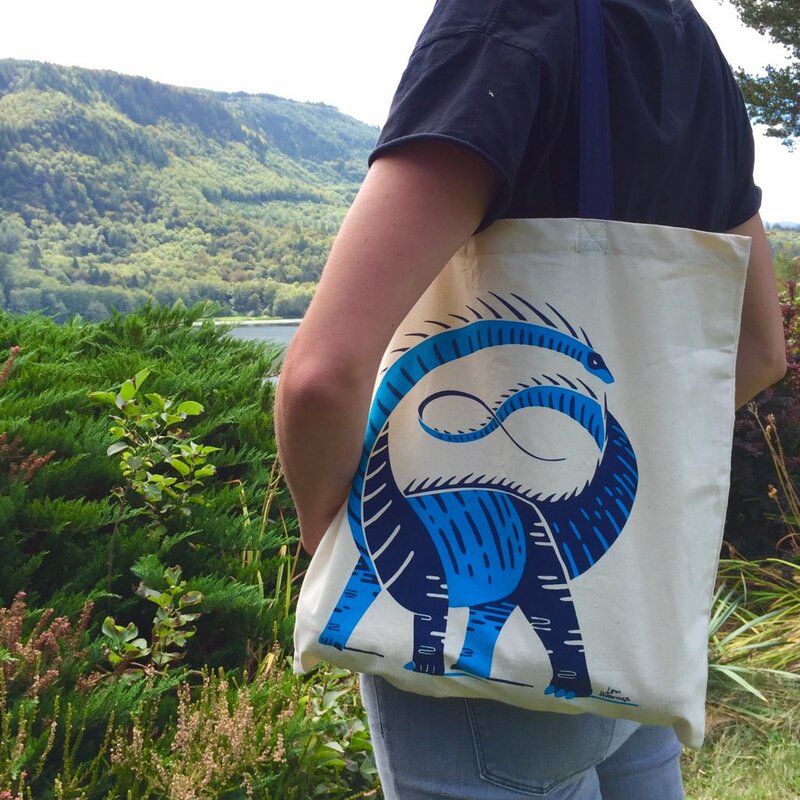 Amargasaurus tote bag designed by Levi Hastings, image used here with his permission. 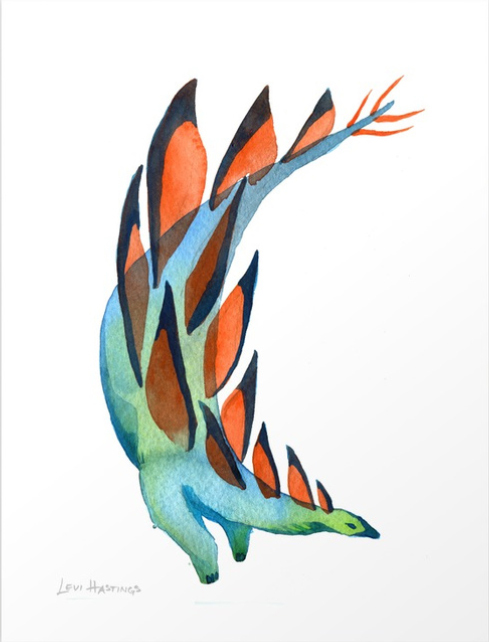 I've long been a fan of Levi Hasting's abstract dinosaur watercolors and screenprints, and have featured his work here often. His new Amargasaurus tote bag is splendid. Perfect for carrying around a collection of dino toys. Pick it up in his Etsy shop. 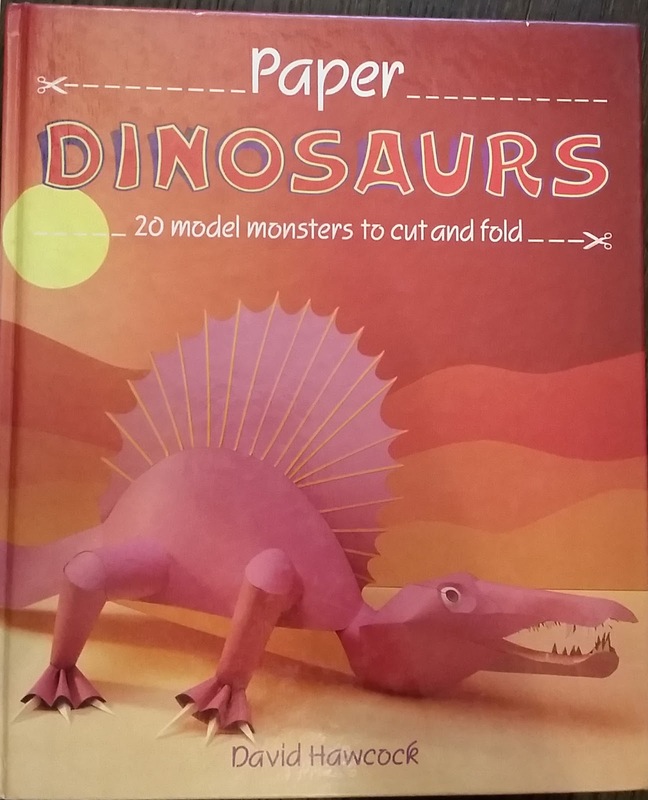 Have you seen the incredible models and puppets created by TRX Dinosaurs? Here's a pic from their Instagram feed, which also includes some fun videos. Head to the TRX Dinosaurs website, where you can order your own poseable, life-size sculpture of Velociraptor or Deinonychus, or order a custom puppet! They're pricey, but the attention to detail and fidelity to contemporary paleontological knowledge certainly make them worth every cent. Designer and illustrator Ian Stewart heroically animated the artwork of Ray Troll to make a music video for the Ratfish Wranglers' "Ages of Rock." Read the excellent post on paleoart from the Royal Tyrrell Museum blog, featuring a look at the process by which the museum and Julius Csotonyi came to the final version of his Regaliceratops illustration. Here's a video to accompany the piece. Hey. There's a video game called Anatomically Incorrect Dinosaurs. Sounds right up our alley, doesn't it? And doesn't this trailer make sense? Like, total sense? Last minute campaign alert! This one closes on September 30, so be quick about it. 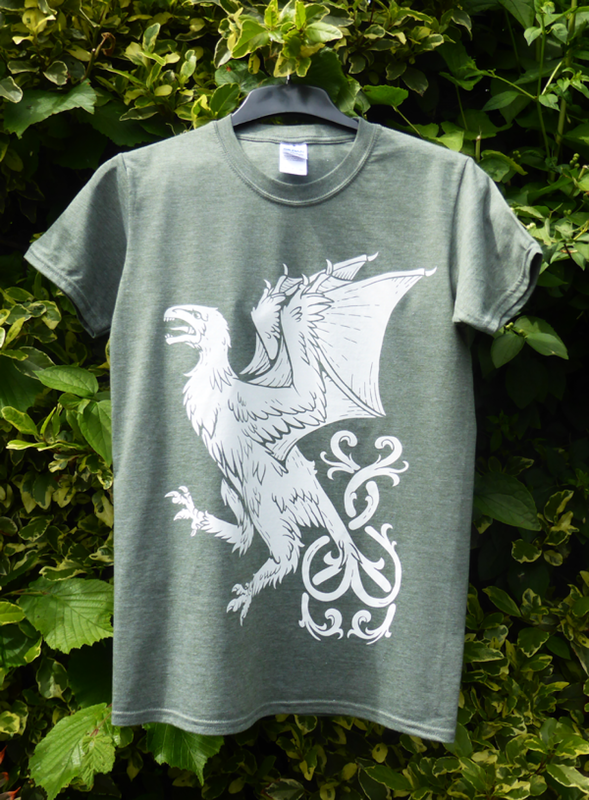 Especially if you're a fan of Victorian art and design giant William Morris (he of the Arts and Crafts movement fame). Especially if you're a fan of his famous "Strawberry Thief" pattern - because now, it's got dinosaurs in it. Pledge at Kickstarter for your pocket square, necktie, or scarf! I'm in a sauropod mood and I just can't shake it, so this month let's bask in the glories of this Diplodocus piece by Stevie Moore. Available as a print from his on-line shop, too! Diplodocus carnegii illustration be Stevie Moore, shared here with his permission. 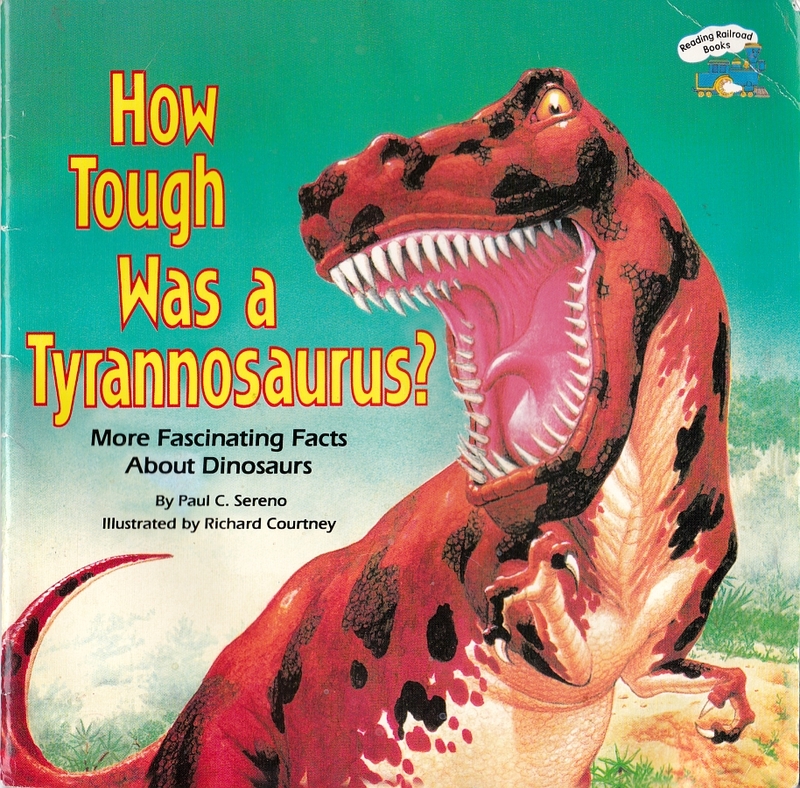 Vintage Dinosaur Art: How Tough was a Tyrannosaurus? The Q&A format is a very popular one for children's dinosaur books, and indeed I've covered a few during my invaluably spent time writing for LITC. However, this one's a little special, and that's because it was sent to me by long-time reader Herman Diaz via airmail, all the way from the US. Cheers, Herman! Dating from 1989, it's very typical of the era, and features quite a number of entertaining tropes...not least a probably-quite-explicable fixation on the titular Tyrant Reptile. Hello faithful LITC readers! 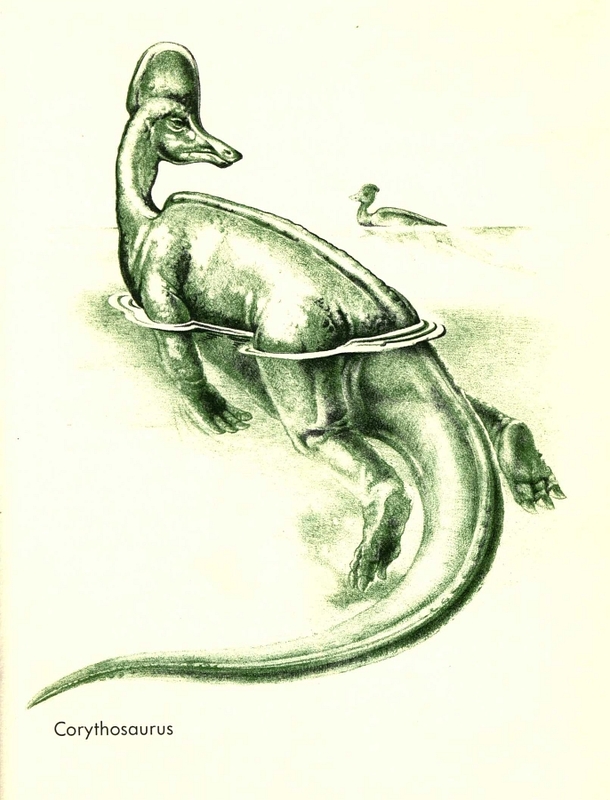 I'm back from 5 weeks in the wilderness and SVP, and have a pretty cute piece of vintage dinosaur art to share with you. Today we're looking at Paper Dinosaurs: 20 Model Monsters to Cut and Fold, by David Hawcock and published in 1988 by Marshall Cavendish Books.